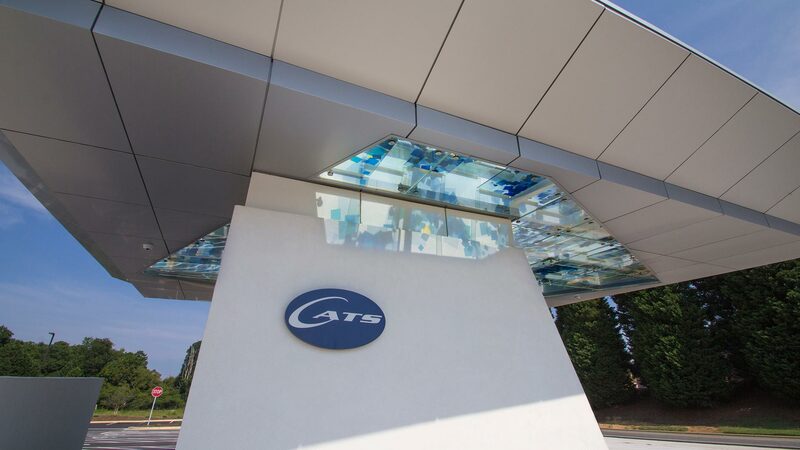 Redline Design Group has worked with CATS (Charlotte Area Transit System) for many years on some really amazing projects. Redline partnered with artist Ivan Depena to develop a unified concept where building and art become one. 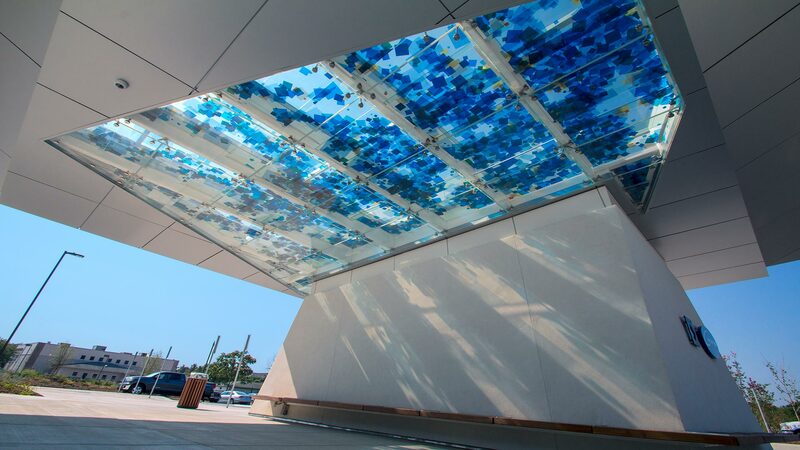 The artist’s concept is called “Surface” (a 3 dimensional, colored glass installation inspired by the underwater topography of Lake Norman). 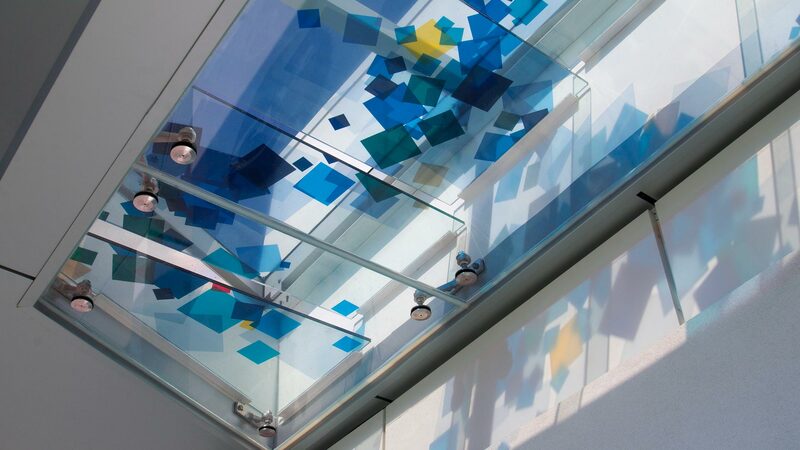 This was used to recreate the abstracted experience of looking up through the surface of the lake by having the light cascade and refract color on the surfaces of the structure. This play of light and color is intended to respond dynamically to the site by changing throughout the year with the movement of the sun. 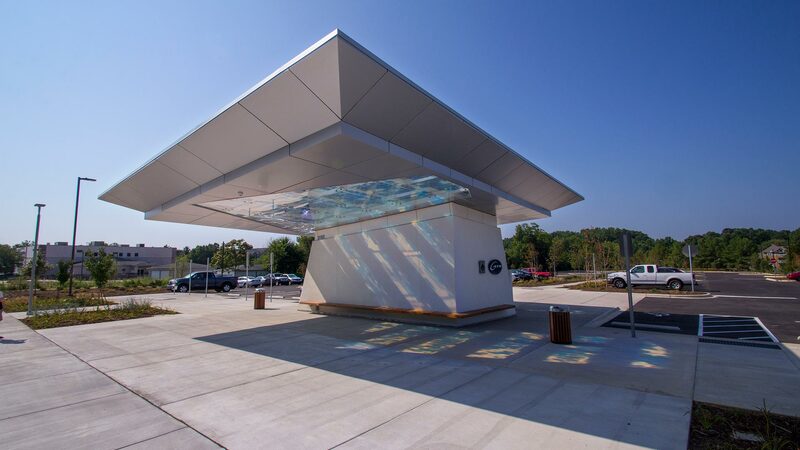 This allows waiting patrons to experience & enjoy a colorful, impressionistic view of the of the topography of Lake Norman that changes throughout the day.